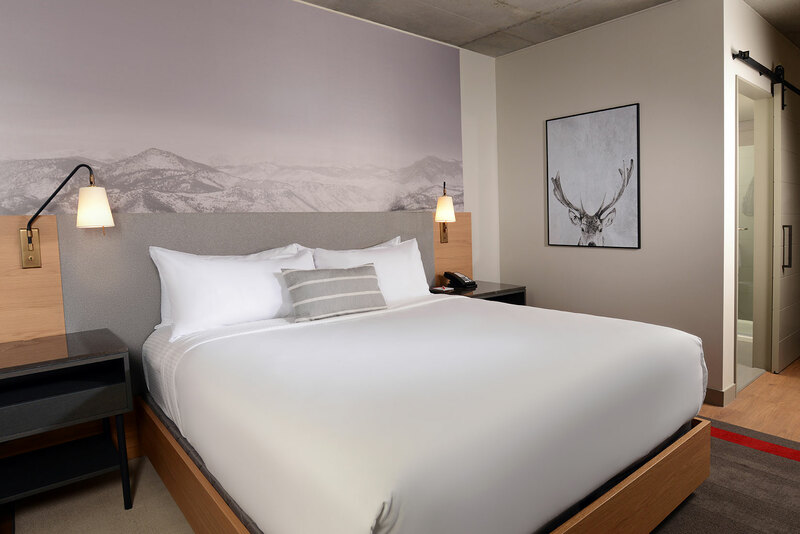 A fantastic guest room begins with an ultra-comfy bed with throw pillows and plush duvets and an artistic nod to the area. 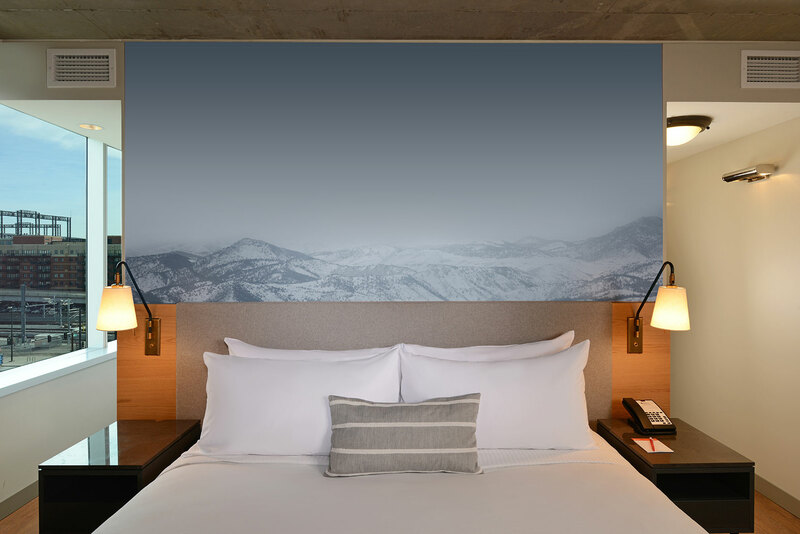 Add hardwood floors, polished concrete ceilings, sliding barn doors, and a rustic-luxe sensitivity inspired by our historic Rockies setting, and you’ve got yourself an enviable LoDo retreat - right down to the vast vignettes depicting Gold Rush-era Denver, the Rocky Mountains and Colorado’s Front Range. 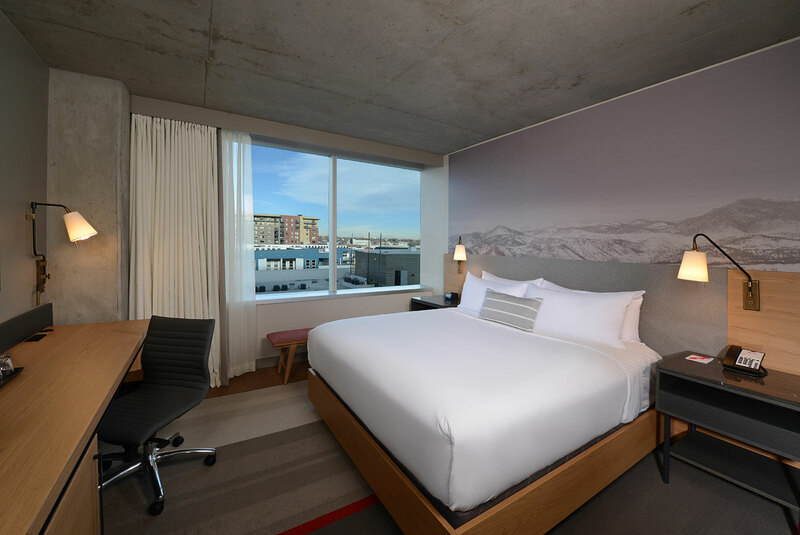 Hotel Indigo Denver offers 180 stylish rooms, including 8 decked-out suites and 22 accessible rooms. 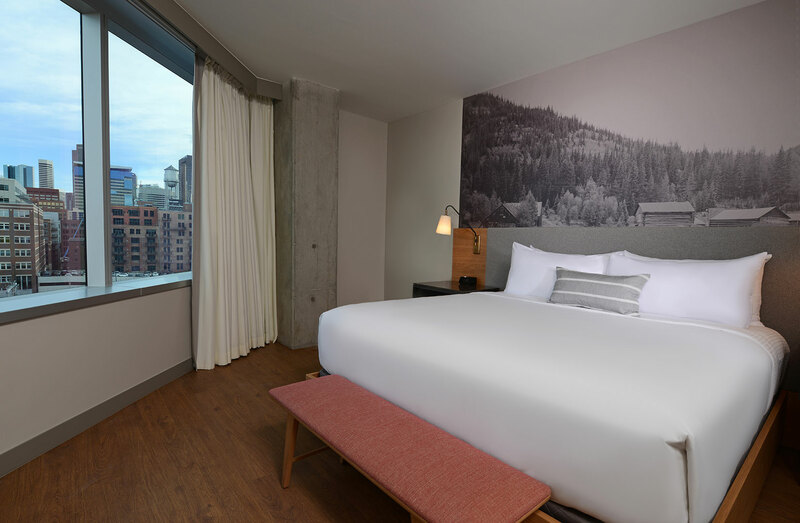 Stylish and sophisticated, our Queen Rooms are comfortable urban retreats furnished with two queen beds, a wall-mounted 47-inch flat-screen HDTV with cable, oversized work desk with ergonomic chair, bedside reading lights, and multiple electrical outlets and USB charging ports. 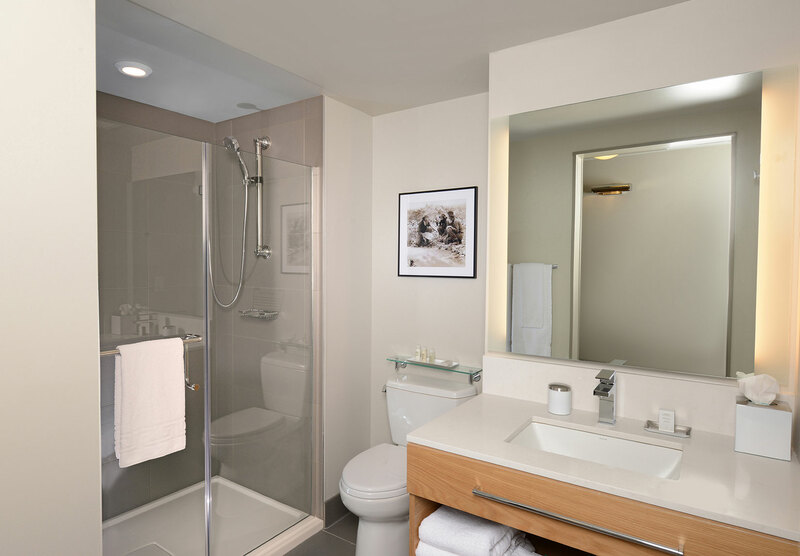 Sliding barn doors lead to bathrooms with spa-inspired glass showers and Aveda bath amenities. 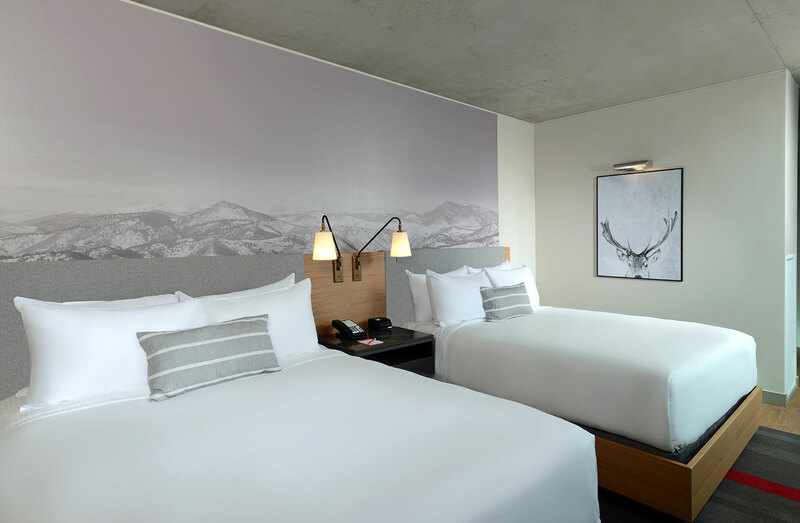 Accented by light woods and earth tones, our spacious King Rooms are light-filled spaces featuring a wall-mounted 47-inch flat-screen HDTV with cable, oversized work desk with ergonomic chair, bedside reading lights, and multiple electrical outlets and USB charging ports. 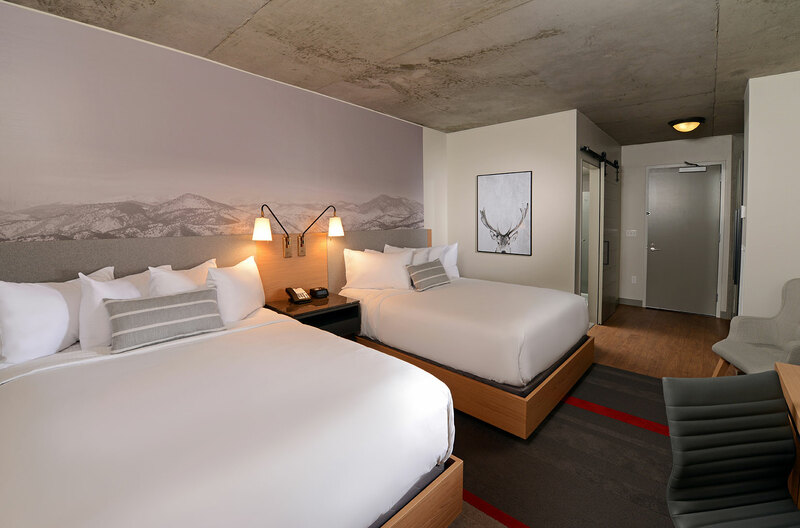 Sliding barn doors lead to bathrooms with spa-inspired glass showers and Aveda bath amenities. 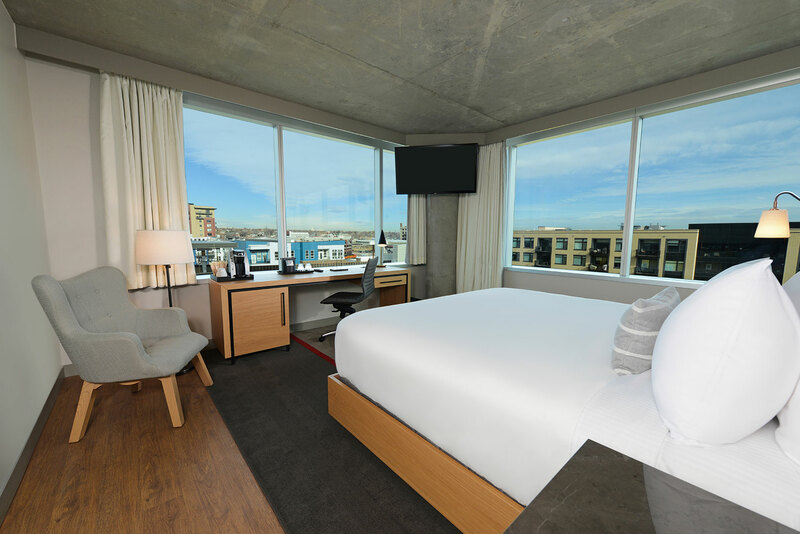 Our spacious and modern Junior Suites are furnished with either one king or two queen beds and feature a wall-mounted 47-inch flat-screen HDTV with cable, oversized work desk with ergonomic chair, bedside reading lights, and multiple electrical outlets and USB charging ports. 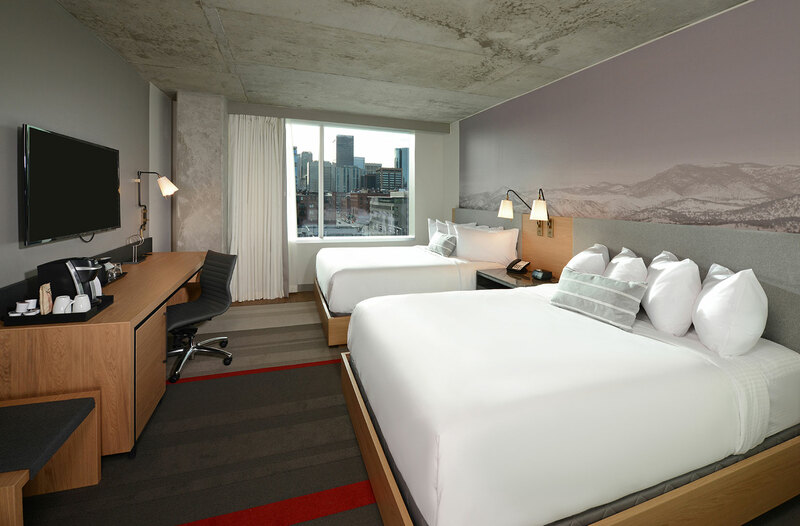 Sliding barn doors lead to bathrooms with spa-inspired glass showers and Aveda bath amenities. 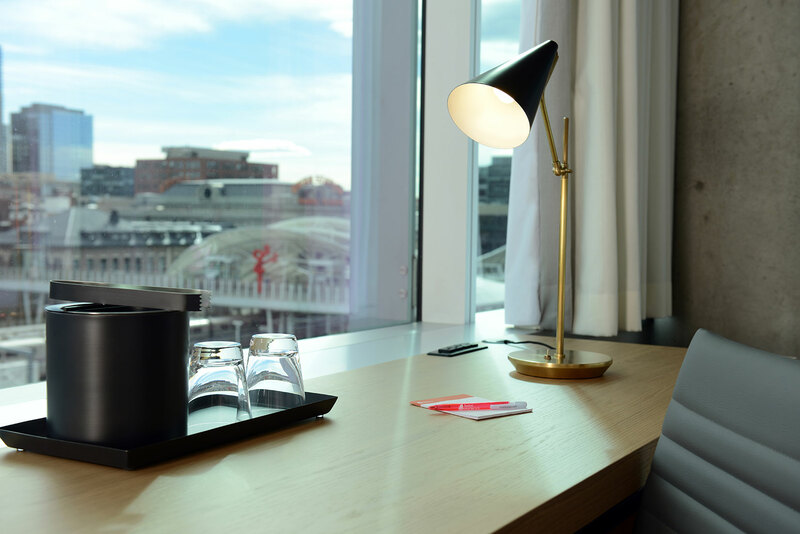 Stay comfortable and connected in our attractive Suites featuring all the must-have amenities of home, including a wall-mounted 47-inch flat-screen TV with cable, oversized work desk with ergonomic chair, bedside reading lights, and multiple electrical outlets and USB charging ports. 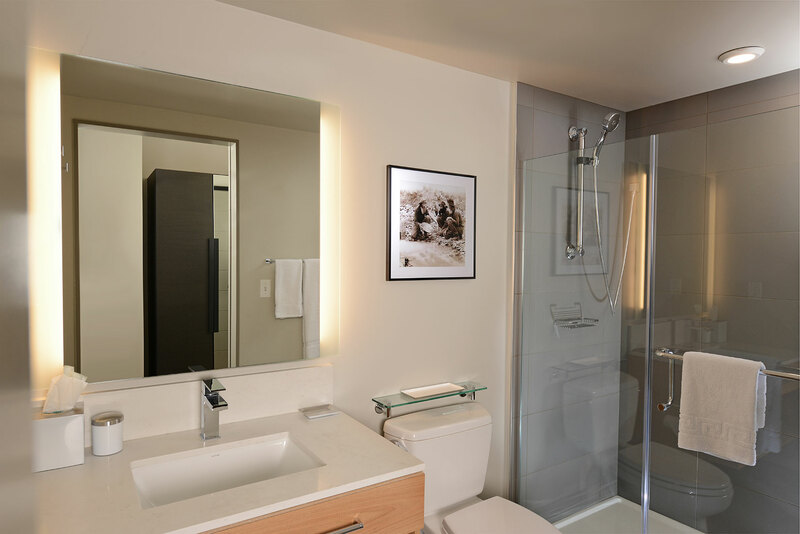 Sliding barn doors lead to bathrooms with spa-inspired glass showers and Aveda bath amenities. 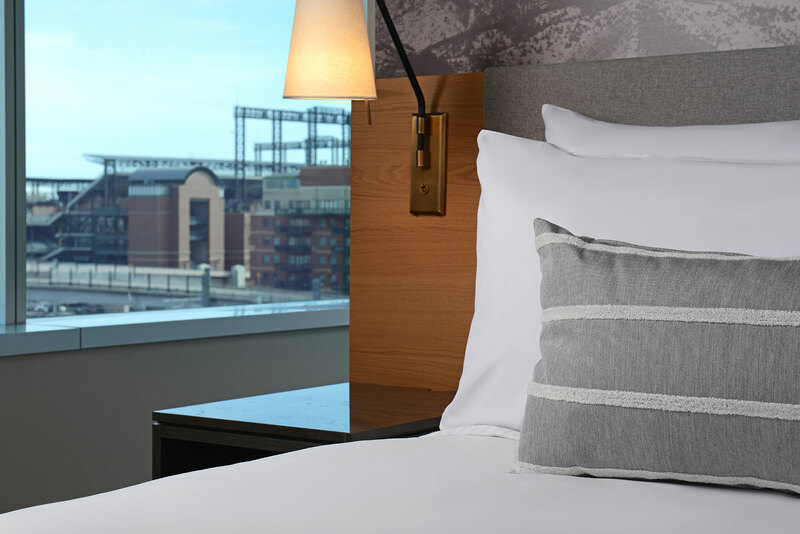 Located throughout the hotel, our ADA guest rooms are available in all of room categories. 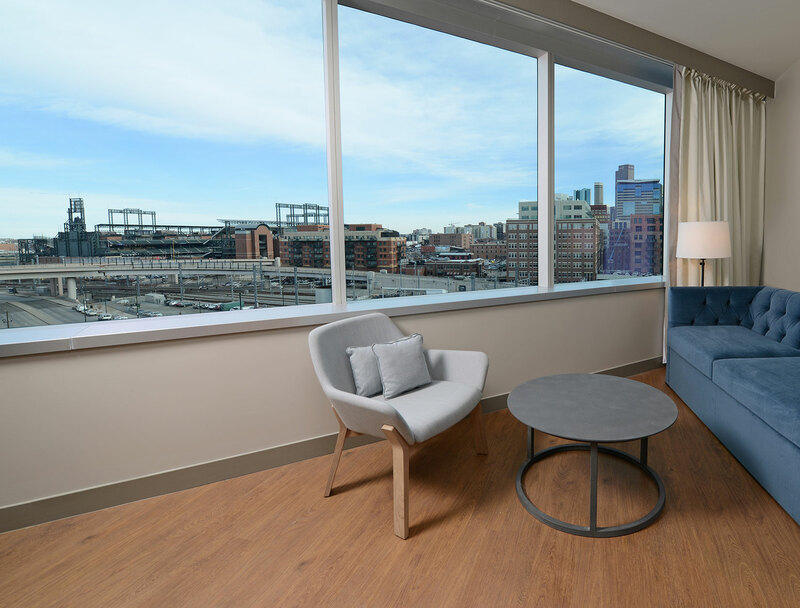 Equipped for sight- or hearing-impaired, all feature a roll-in shower with chair, larger bathrooms and accessible closet access, as well as our standard room amenities.